Oral Jellies are one of the most popular erection stimulators. For men suffering from ED, medicines such as Viagra, Cialis etc. are sold in the form of tablets. However, the tablets are not always convenient & acceptable for men that are older in age as it becomes difficult for some men to swallow the tablet. 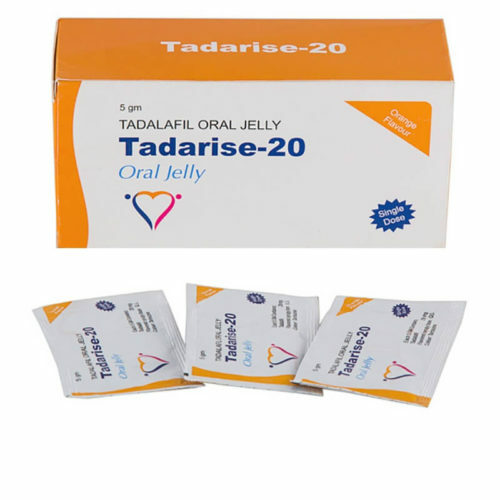 People suffering from Dysphagia (a disease which induces difficulty in swallowing) can use oral jellies to treat impotence. The Kamagra Oral Jelly comes in a sachet with a nice fruity flavor which is loved by all. Loss of sexual power can be treated easily these days. The remedy to this problem is very convenient, qualitative and effective. In addition to this, there are several precautions that must be taken while consuming these jellies. These drugs are incompatible with alcohol, nitrate containing compounds & should be kept out of reach of children. It is advised to not consume more than one sachet per day. The effects of the popular Kamagra Jelly lasts for up to 4 hours. Common side effects include headache, dizziness, nausea, diarrhea, flushing etc.